USA, Canada, UK, Ireland, Sweden, and their territories. *EXISTING* CTFO members, please click here and read notice. Due to the "personal touch" aspect of my 3Steppers Team Training System, where *nothing* is automated, as long as I am in top of your upline, no matter how many people in between, you can freely use 3Steppers to build CTFO and, as a training resource for your personal referrals. If you already know that Jose Garriga Jr is in your upline, please click here to continue to signup form. All other existing CTFO members, *without* Jose Garriga Jr anywhere in upline, are not eligible to use the 3Steppers system due to my personal time constraints. NO automation, NO autoresponder systems, has been key to my success in building great relationships with my CTFO team leaders. 3Steppers will never be converted into an automated system, and that is what would have to happen to make it open to everyone. I personally don't like being added to autoresponders, and I know none of my personal CTFO referrals do either. I practice the Golden Rule with my CTFO downline members, and save automation for leads and prospects only, and add CTFO team members to a contact manager not tied to an autoresponder, and will write or call anytime I want to reach out to my CTFO/3Steppers team members, I send out a one-off email to them, they can submit a support ticket, or they can pick up the phone and call me anytime. Adding your fellow CTFO team members to an autoresponder system is ill advice. Don't do it. If you have a training series, and your new CTFO referral opts into it voluntarily is one thing. That is giving permission. Automatically loading them into a series without their consent is spamming. People don't like that. Leaders on my CTFO team who work hard, and invest their valuable time, and spend their hard-earned money, promoting and building their CTFO network, understand why I am strict. I respect the hard work they put into building a customer network, and my team appreciates that I don't add their hard earned referrals to an autoresponder series without their referral's consent. I would be spamming my colleagues, and upsetting my leaders. Automation kills team camaraderie. With leads, it doesn't matter. I, Jose, value my time tremendously, and as a network marketer first and foremost, prudent use of it is supporting only my thousands of CTFO downline team members. Existing CTFO members, if you are in doubt as to where you are positioned, contact your CTFO sponsor and ask, or call CTFO home office at 707-449-4567 Monday through Friday 9am to 5pm PST west coast time, and ask any operator if Jose Garriga is in your upline, again, no matter how many people in between our positions. 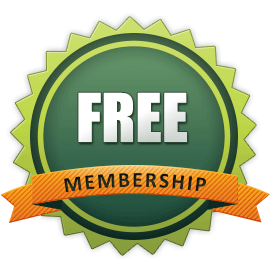 Please go ahead and register below as 3Steppers membership is closely monitored and all active promoters are authorized to refer others. * Always check your spam/junk folder for email verification link. 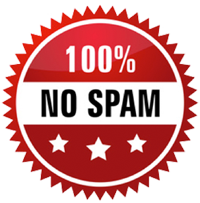 If you use Hotmail, AOL, or another free email provider, please whitelist admin@3steppers.com as these services are not as reliable as Gmail for delivering business email. Get Gmail here. "After joining 3Steppers, log in and click the red Start Here button, and watch the video to get started!"